Glory Clean offers spring cleaning in London that will make your home fresh and sparkling clean. We offer professional spring cleaning service to handle your cleaning needs and ensure deep cleaning solutions. Our experienced cleaners have the potential to deliver an excellent service that will refresh your home and clean up the clutter. We aim to thoroughly sanitise your home by providing the best team of cleaners as per your scheduled date and time. The Spring Season is all about shaking off the winter blues and enjoying the sunshine in a fresh and clean environment. Glory Clean’s spring cleaning in London guarantees of refreshing your home from top to bottom that will leave behind a fresh, clean and hygiene living space. Our professional spring cleaning service can be custom-designed as per your requirement, specification and priorities. People who need a thorough top to bottom home cleaning can simply rely on us to enjoy the best results. Our professional and well-trained cleaners are efficient in taking the utmost care of the core cleaning tasks like cleaning your windows and frames, re-arranging the bookcase, wiping every corner of the rooms. To remove the accumulated dust, arrange your shelves and mop of all granite, ceramic, marble and wood flooring, you can rely on Glory Clean. Our professional spring cleaning can be personalised to deliver a thorough property cleaning, carry out a deep bathroom and kitchen sanitising or focus on certain areas. Why Choose us for your Spring Cleaning in London? Glory Clean employs fully trained cleaners to deliver the highest standard of service. 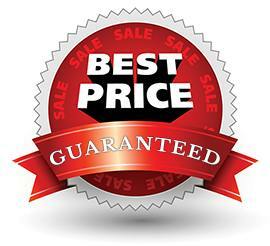 We are fully insured and licensed cleaning company in London that guarantees quality service at an affordable price. Our experienced cleaners have the right knowledge and expertise to deliver a superior quality service and achieve outstanding results. ​Complete Home- Under this plan, we deep clean all areas, bedrooms, lounge, hallway and stairs. You will get a thoroughly clean and sanitised home. Kitchen- In a home, the kitchen is believed to be one of the richest places of odours. Our expert cleaners are efficient in cleaning up all tanned surfaces, the appliances, cabinets, shelves, the lamp on the ceiling and the floor to make it a hygiene space where you can prepare healthy food. Bathroom- Our well-trained cleaners will clean up the bath/shower, toilet and all accessories in the bathroom by using germicidal solution to remove the limescale, mildew and mould.